In 1908 two members of the Women's Social and Political Union, Cicely Hamilton and Bessie Hatton, formed the Women Writers Suffrage League (WWSL). The WWSL stated that its object was "to obtain the vote for women on the same terms as it is or may be granted to men. Its methods are those proper to writers - the use of the pen." Women writers who joined the organisation included Beatrice Harraden, Elizabeth Robins, Charlotte Despard, Alice Meynell, Margaret Nevinson, Evelyn Sharp and Marie Belloc Lowndes. Sympathetic male writers such as Israel Zangwill and Laurence Housman, were allowed to become "Honorary Men Associates". The WWSL worked closely with the Actresses' Franchise League (AFL). Inez Bensusan oversaw the writing, collection and publication of Actress Franchise League plays. Pro-suffragette plays written by members of the WWSL and performed by the AFL included the play How the Vote was Won a play co-written by Christabel Marshall and Cicely Hamilton. Other popular plays included Votes for Women by Elizabeth Robins and Hamilton's A Pageant of Great Women. (1) On 23rd December, 1909, the newspaper of the Women's Freedom League, The Vote, wrote an account of how Cicely Hamilton and Bessie Hatton formed the Women Writers Suffrage League. 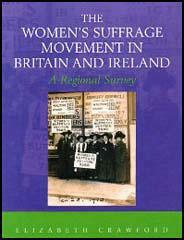 One night Miss Hatton was at the Dramatic Debates where she heard Miss Cicely Hamilton speak on the suffrage. She was immensely struck by her earnestness and the power she exercised over the small audience, which was composed largely of "indifferents". The next day she wrote to Miss Hamilton and said how much she enjoyed her speech. She received a prompt reply to which was expressed the desire to found a Women Writers Suffrage League, "If only someone would undertake the secretaryship." This wish was immediately fulfilled by Miss Hatton. 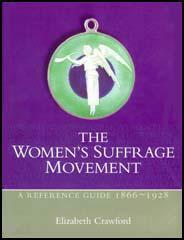 (2) In Way Stations, Elizabeth Robins explained why she joined the Women Writers Suffrage League. The magnificent platform work being done from various centres must be supplemented and further spread about the world through the medium of the written word. I don't mean by frankly propagandist writing (though I am the last to deny the importance of that) but even more valuable is, I think, the spirit which both men and women writers are able in a thousand ways to illustrate and justify. My complaint is that not enough has been made of such traces as history preserves of significant lives lived by women. The Great Adventure is before her (woman). Your Great adventure is to report her faithfully. So that her children's children reading her story shall be lifted up - proud and full of hope. "Of such stuff," they shall say, "our mothers were! Sweethearts and wives - yes, and other things besides: leaders, discovers, militants, fighting every form of wrong."